Nine farmers killed in Boko Haram attack in Nigeria - SABC News - Breaking news, special reports, world, business, sport coverage of all South African current events. Africa's news leader. Boko Haram has stepped up attacks on farmers and loggers in recent years. Boko Haram members have killed nine farmers and abducted 12 others in a village in the northeastern Nigerian state of Borno, the cradle of the jihadist movement, locals told AFP Tuesday. On Monday, they stormed into fields outside Mammanti village, opening fire on farmers as they worked, killing nine and injuring three others. “We recovered nine dead bodies after the attack,” the village chief Muhammad Mammanti said. 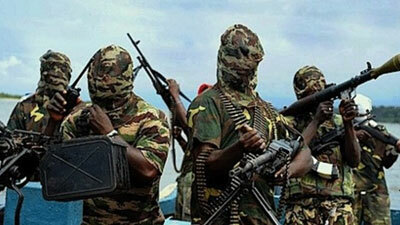 “The insurgents took away 12 people, including women, and macheted three people who resisted being abducted,” Mammanti. The jihadists came on bicycles in the afternoon, said Usman Kaka, a farmer who escaped. “They just opened fire on us and continued to fire as we fled,” Kaka said. “We later returned to find nine people had been killed and three left with machete cuts on their heads for refusing to go with the gunmen,” he said. Last week Wednesday Boko Haram jihadists attacked Mammanti, killing one person and burning the entire village before stealing hundreds of cattle. The attack on Mammanti forced residents to moved to the state capital Maiduguri from where they would commute daily to work on the fields. Despite the government’s insistence that Boko Haram is near defeat, the group has recently carried out major attacks on military and civilian targets, killing scores. This entry was posted on 20 Nov 2018,03:27PM at 3:27 PM and is filed under Africa, Homepage Latest Stories Slider. You can follow any responses to this entry through the RSS 2.0 feed. Both comments and pings are currently closed.